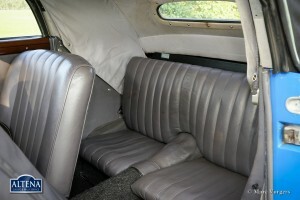 Capacity:approx. 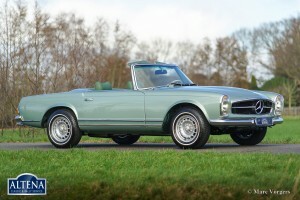 130 bhp. 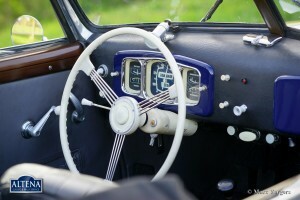 at 5700 rpm. Torque:approx 125 Nm at 3000 rpm. Top-speed:approx. 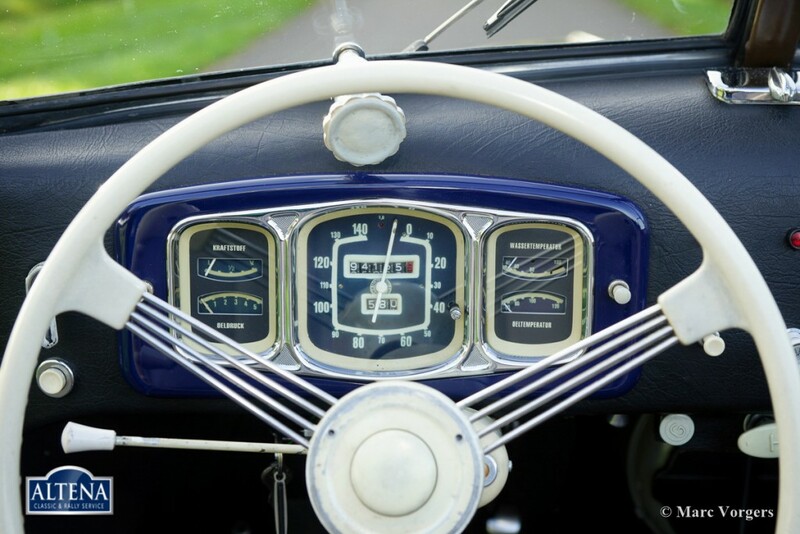 94 mph - 150 km/h. 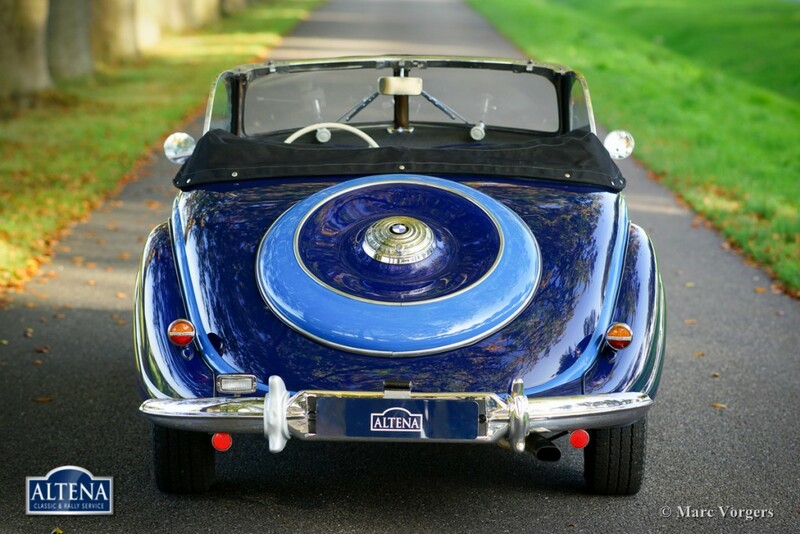 BMW 327/2 Cabriolet, year 1952. 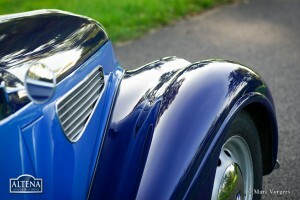 Chassis number 875XX. 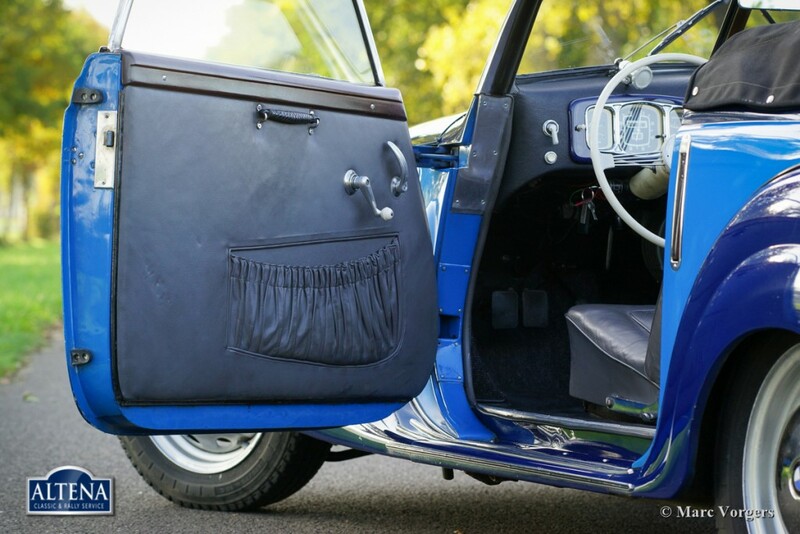 Colour two tone blue with a grey leather interior and a black mohair hood. 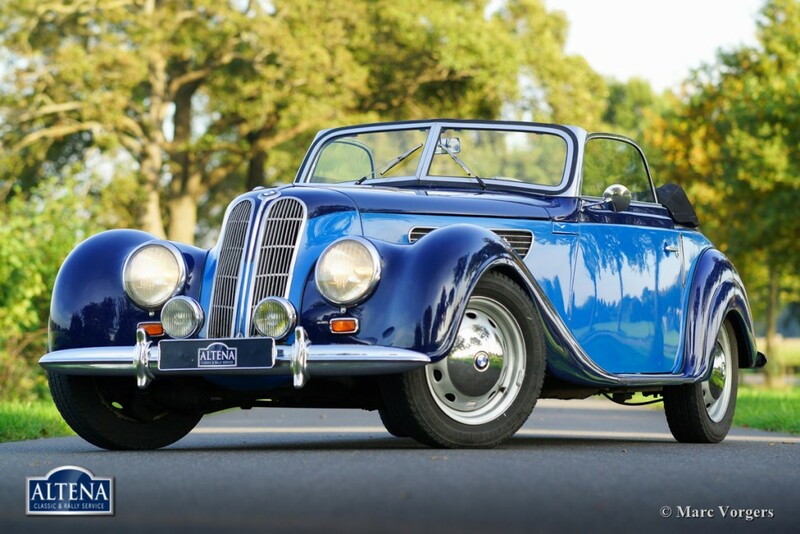 This gorgeous and very rare BMW 327/2 was delivered new on the 1st of July 1952 to the firm of Fries in Wallisellen Switzerland. 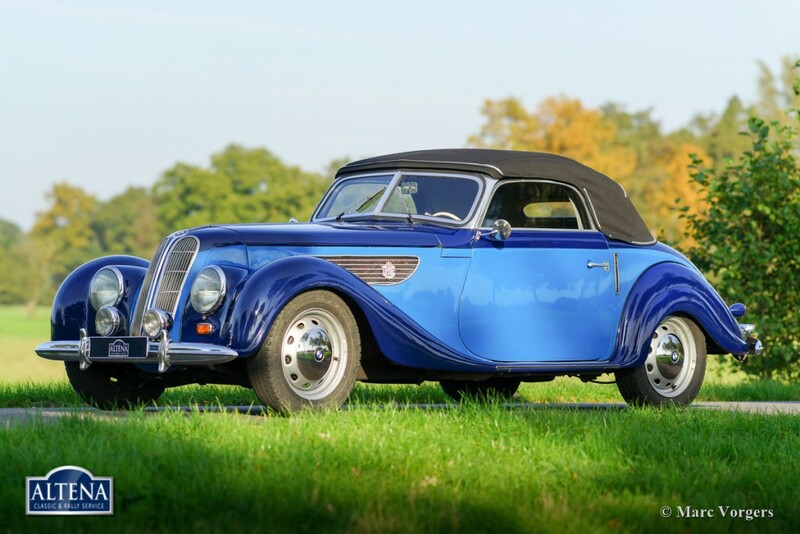 Immediately after the 2nd World War the BMW motorcar factory in Eisenach found itself in the Russian controlled zone of Germany. 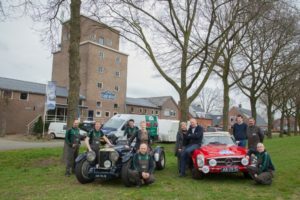 Communication with the motorbike and aero-engine factory and headquarters in Munchen was no longer possible. 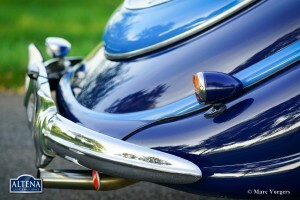 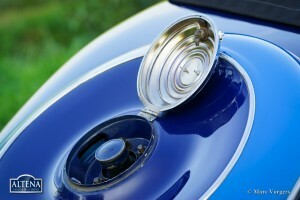 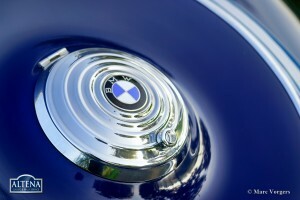 Until the year 1952 ‘Eisenach’ continued to build pre-war BMW models displaying the blue and white BMW propeller badge. From August 1952 connections between Munchen and Eisenach were severed. 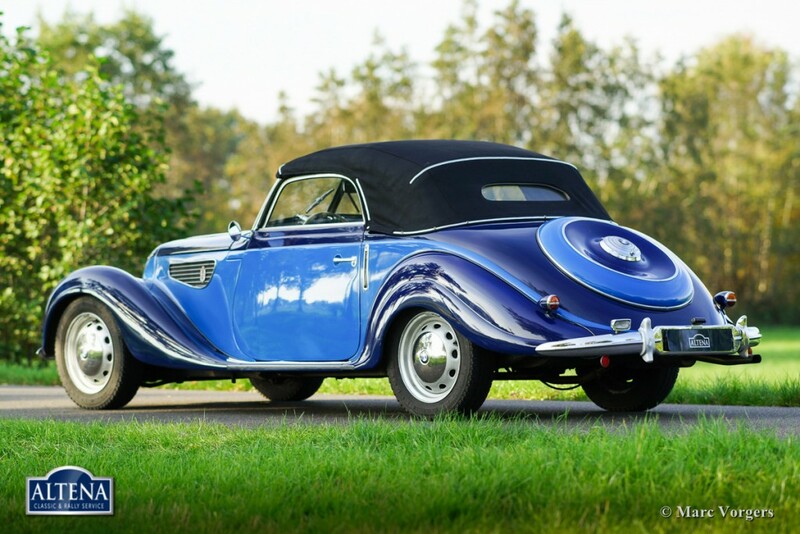 The now East German firm continued under the name Eisenacher Motoren Werke (EMW). 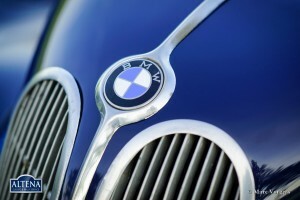 A new logo was designed incorporating the BMW propeller in red. From 1949 until 1955 the Eisenach factory built only 505 BMW/EMW 327 cabriolet and coupe models. 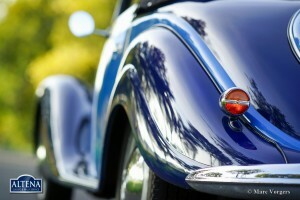 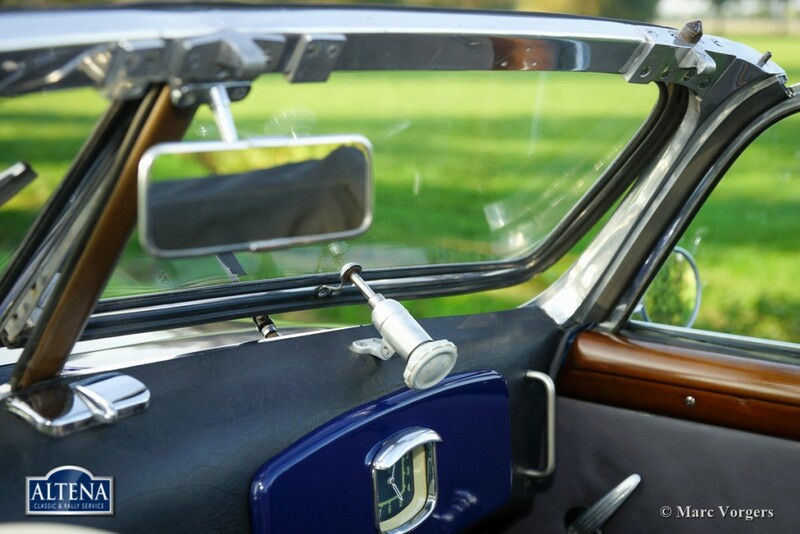 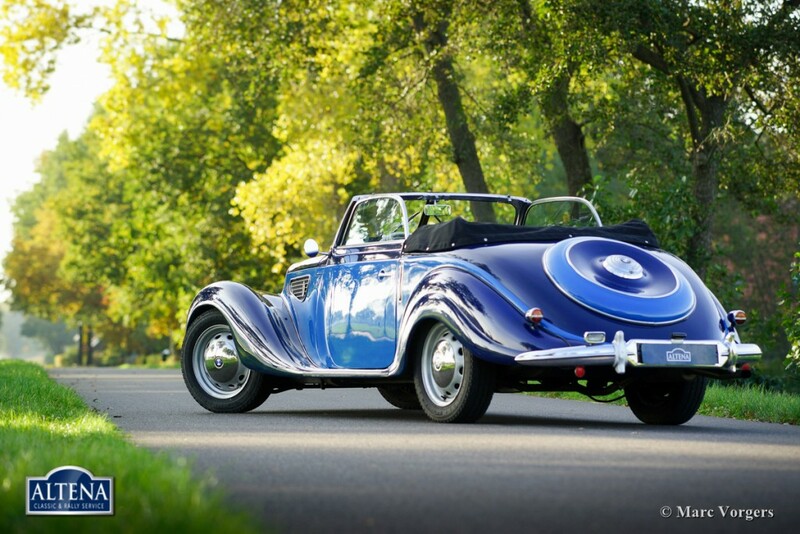 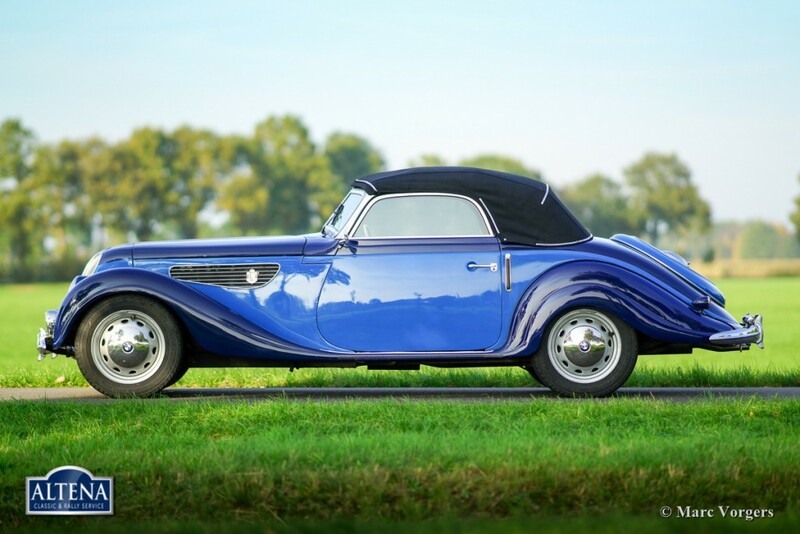 These automobiles are highly sought after collector cars. 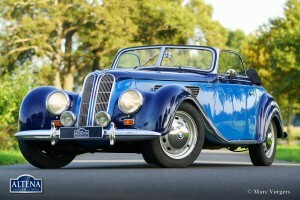 The presented BMW 327/28 Cabriolet is one of the early BMW badged cars delivered to the firm of Fries in Wallisellen, Switzerland, in July 1952. 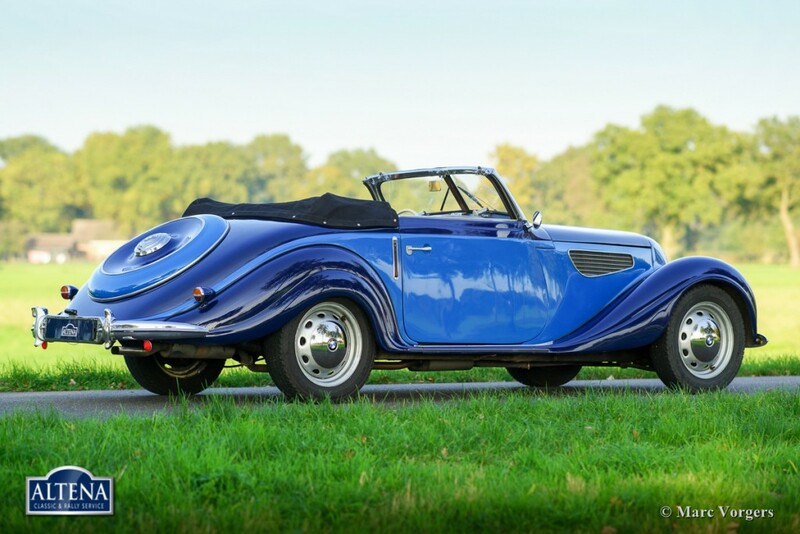 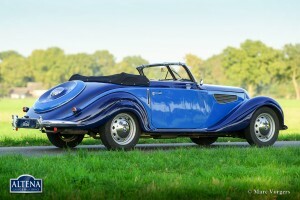 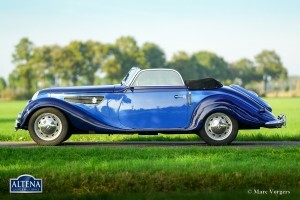 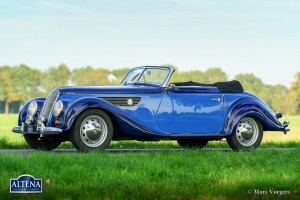 The car is nearly identical to the pre-war 327 cabriolet model. In the year 1962 the BMW found a second owner, Mr. G. Liechti (der ‘BMW Pabst’), founder and secretary of the Swiss BMW Veteran Car Club. 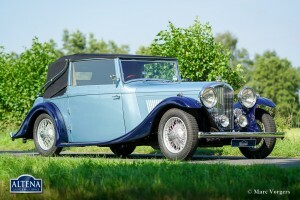 In 1983 the car changed hands as it came into the possession of Mr. Huldi from Zurich. 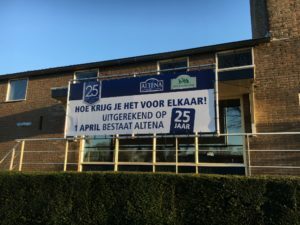 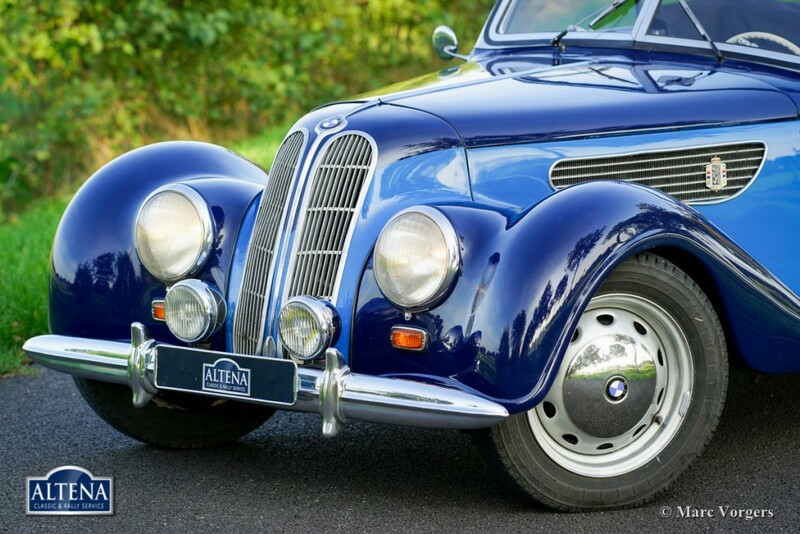 In the year 2002 the BMW found a new home in Germany with Mr. K. Hoellstern from Hoffstetten who was the technical adviser of the German BMW Veteran Car Club. 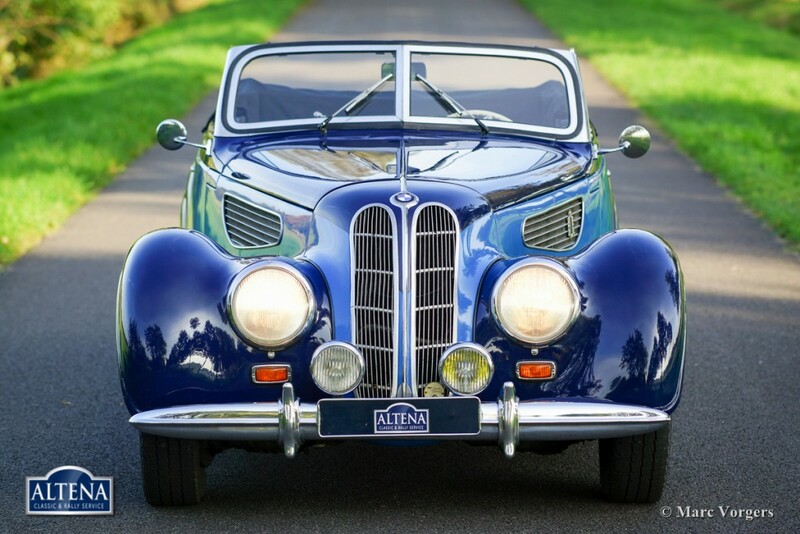 This magnificent BMW has been cherished by all its former owners who have kept the car in very good condition throughout and who have brought the car to high standards. 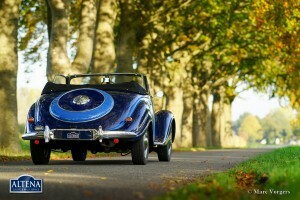 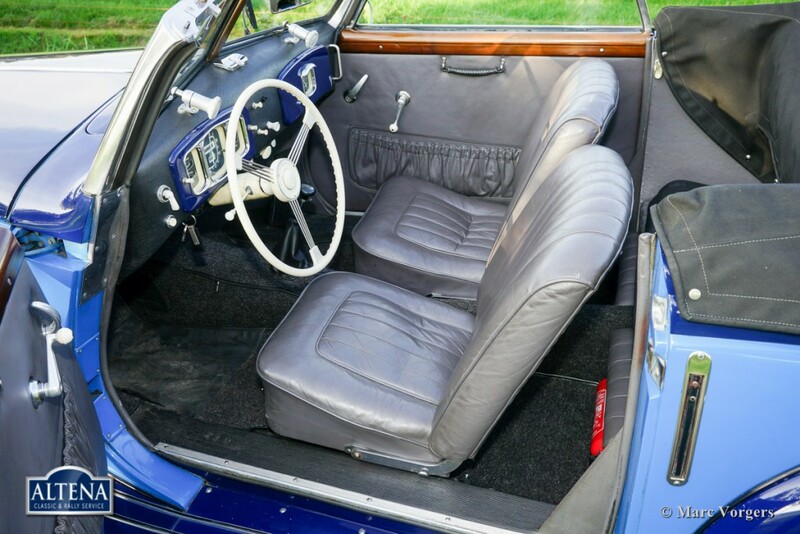 The car is in very good condition, shows a slight and wonderful patina, and the driving experience is magnificent. 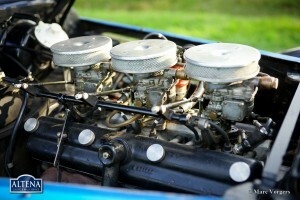 The six cylinder engine is a 328 type fitted with three carburettors. 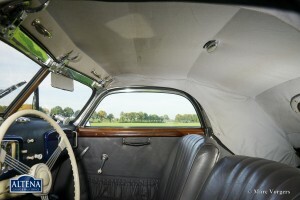 The engine was modified to run on lead free petrol. 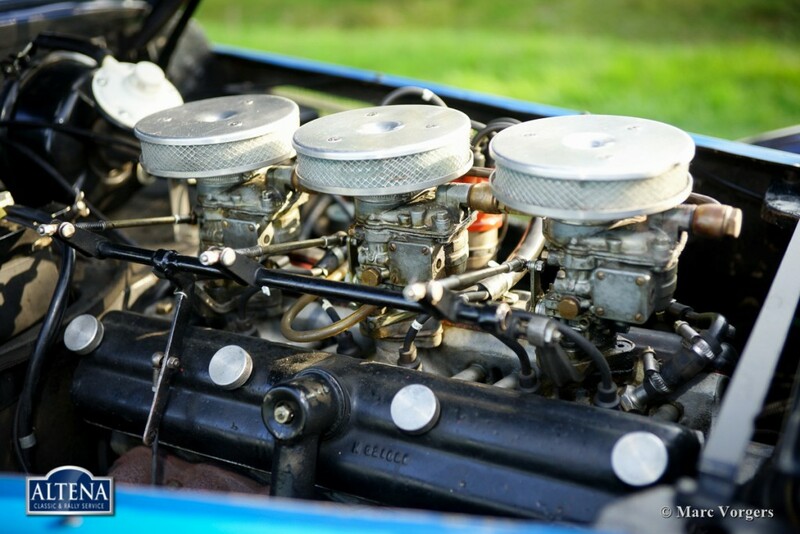 The cylinder head was given larger valves in the process and a Bristol sports camshaft was fitted to improve the lower end torque. 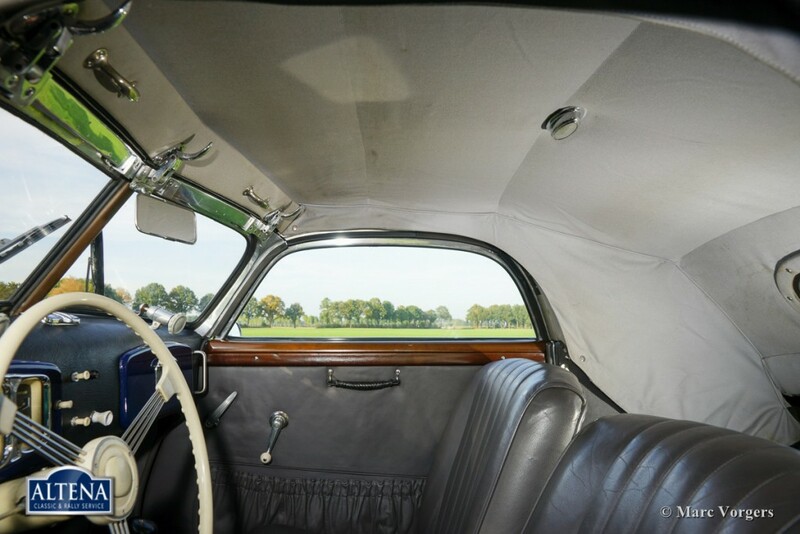 Furthermore the engine has been fitted with a high capacity oil-pump, improved water pump, electronic ignition, a modern oil cooler and the original VOKES air-filtres. 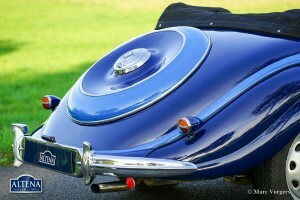 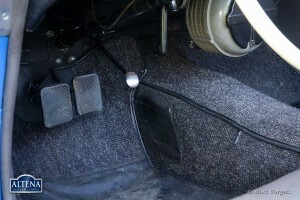 The clutch was improved by incorporating a diaphragm spring for lighter operation. 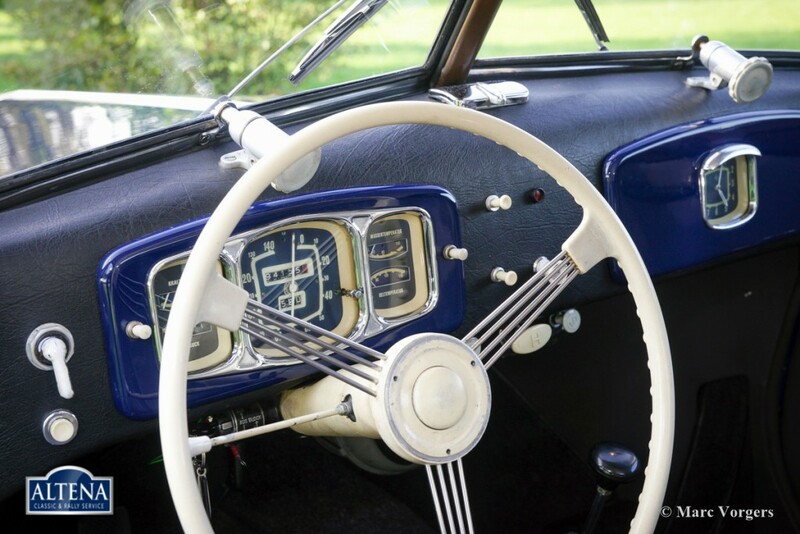 The electrical system was up rated from 6V to 12V and the head lights were given H4 Halogen lamps to improve visibility and safety. 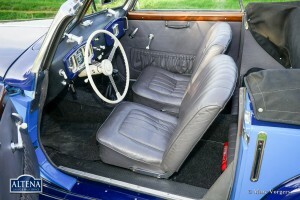 Also from a safety point of view the brakes were improved by fitting servo operated BMW 501 V8 type brakes. 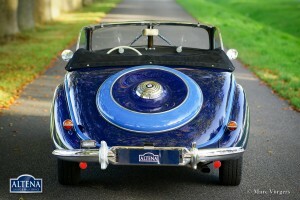 A stabilizer bar was mounted at the front and BMW 503 steel wheels with 175/75 16 were fitted to improve the road holding. 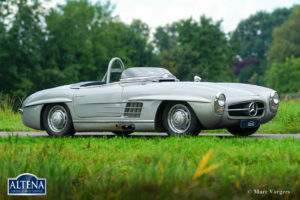 The car is also fitted with a Stainless Steel exhaust system and a five-speed manual gearbox (the original gearbox is present). 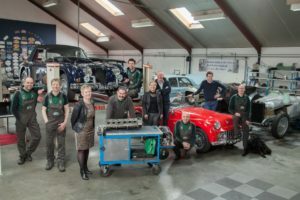 All modifications were carried out in a ‘reversible’ manner, nothing has been changed on the chassis, engine block and the body work. 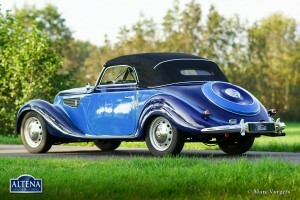 This way the car can easily be brought back to 100% factory originality. The majority of these modifications were already offered in 1949 by the English BMW representative FN. 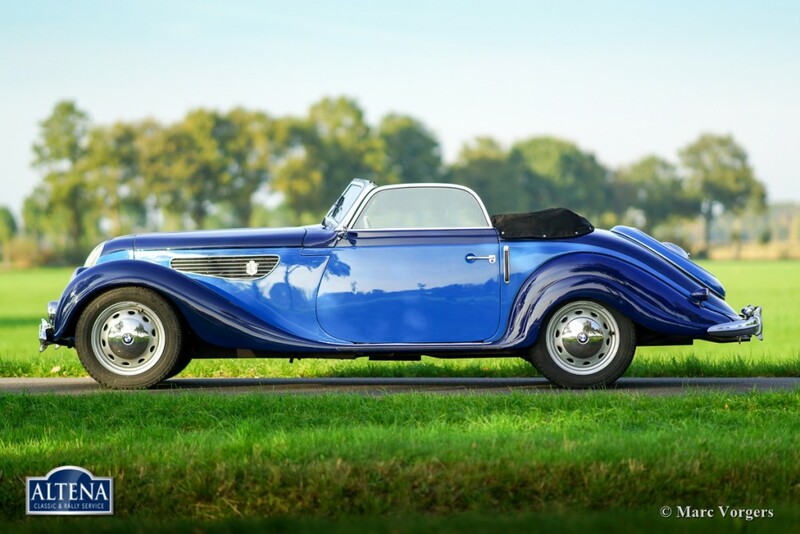 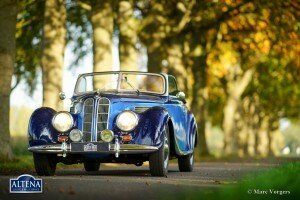 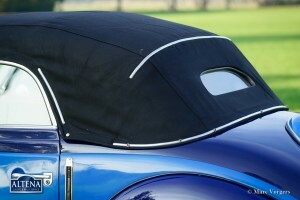 This is a rare opportunity to become the proud owner of a very rare post war ‘Eisenach’ BMW 327/2 cabriolet. 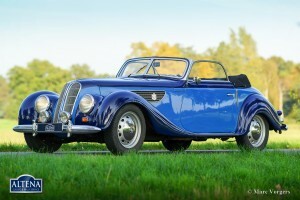 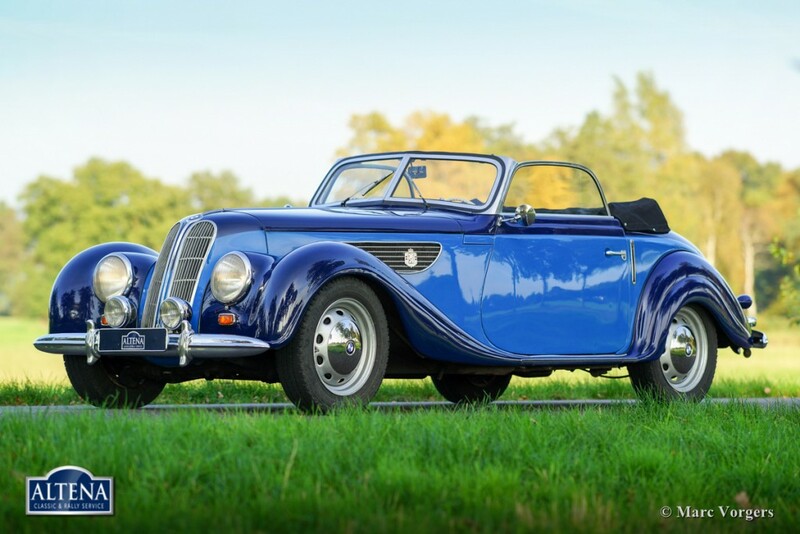 From 1937 until the outbreak of war the BMW models 327 and 328 were the most advanced sports cars on the market. The 328 sports model was extremely successful in racing competitions. 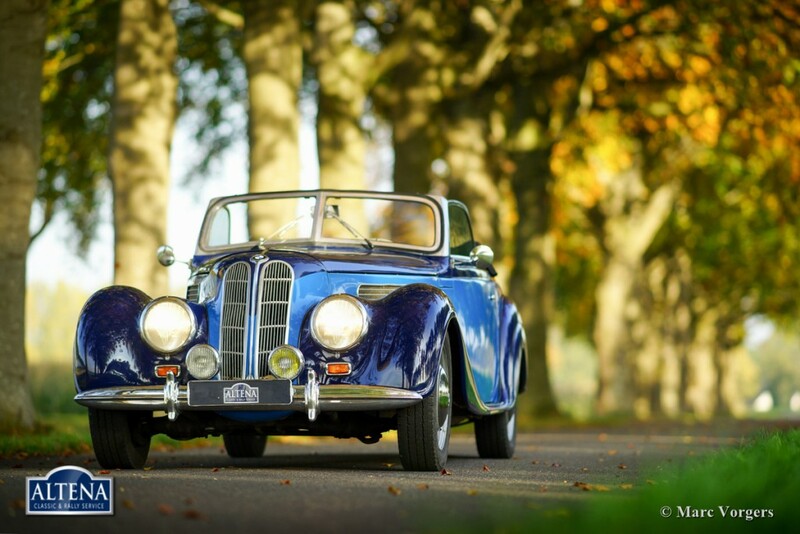 This 327/28 cabriolet features the 328 engine in a magnificent state of tune combined with a superb suspension, magnificent steering and fantastic brakes, an impressive car indeed! 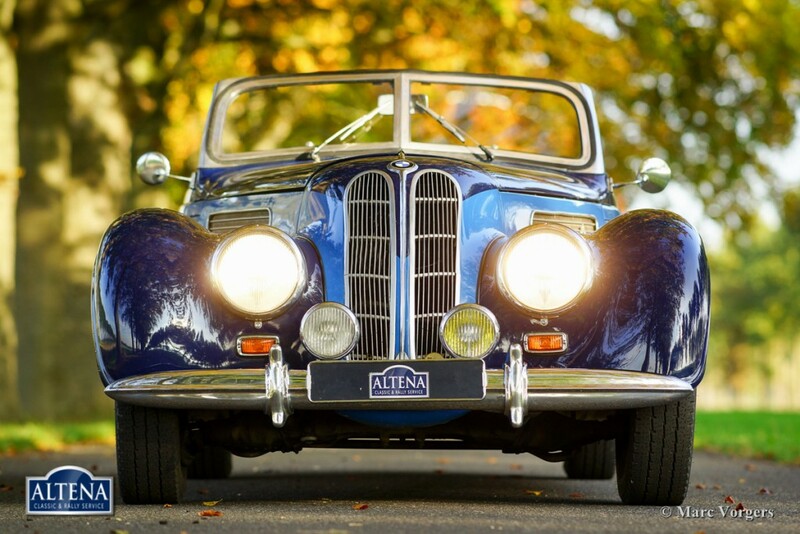 This 327/28 combines the sporting character of a truly good 328 with the delightful ride and beautiful bodywork of a 327 cabriolet!